This stunning Venetian mask is hand made and adorned with jewels and metal chain around eyes of the mask. 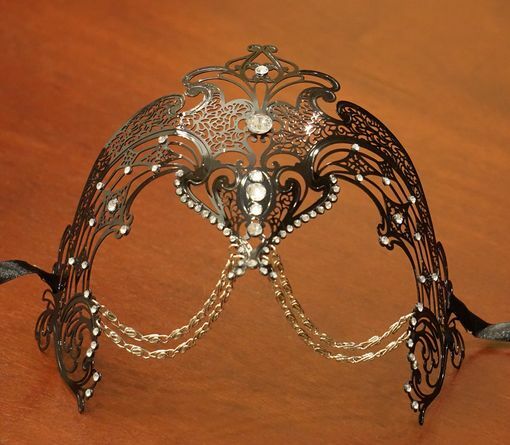 This mask is made of metal. Zakarro Ventian mask also comes in sold white with clear jewels.